Adobe today announced that it has acquired Allegorithmic, the French company behind the Substance tools for creating textures that are widely used by AAA game creators, as well as visual effects artists, animators and designers. 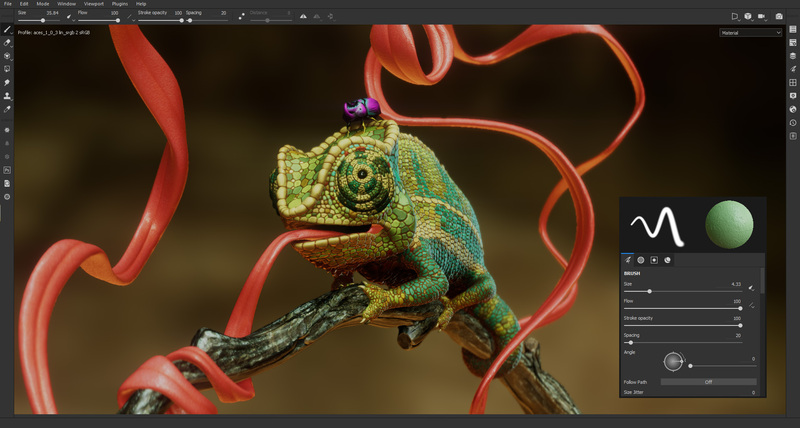 Over time, Adobe will bring many of Allegorithmic’s technologies to its various Creative Cloud tools, many of which already offer complementary tools. Beyond those integrations, though, what this acquisition is really about is the fact that 3D design and creating 3D content is becoming increasingly important for the creatives who use Adobe’s tools. With Adobe Dimension and, more recently, Project Aero for creating AR experiences, the company has started focusing on 3D, and this acquisition will bring both talent and technology to the company. It’s worth noting that Adobe previously invested in Allegorithmic and that Dimension already features integration with Substance, so today’s announcement has clearly been in the works for a while. As Adobe’s chief product officer Scott Belsky told me, it’s worth remembering that many of Adobe’s most important products today were acquisitions, including Photoshop back in 1990. “Adobe is a company that has always embraced new DNA and has grown through these critical acquisitions,” he said, and noted that Adobe always looks to these acquisitions to see how it can change through them — not how it can change the company it acquires. “For Creative Cloud, this is one of these acquisitions,” he added. He also noted that while Substance has been around for more than 15 years, there’s a lot of tailwind in the industry now that it’s often easier to render and image than set up a photo or video shoot and then edit and retouch those images. Adobe, of course, wants to catch as much of that tailwind as possible. Adobe’s Stefano Corazza, who is the company’s head of AR, also noted that the Allegorithmic team was among the first to focus on physics-based rendering and that tools like Substance will become increasingly important as creatives try to build realistic AR experiences that need to be as photorealistic as possible — and to do that, you need to be able to create materials that are able to reflect light properly, for example. He also stressed that new technologies like Nvidia’s RTX raytracing hardware will keep pushing the boundaries on photo realism. The current Substance product line will remain intact, by the way. Adobe obviously knows that it is acquiring a set of tools that have been used for creating games like Assassin’s Creed, Forza and Call of Duty, but also movies like Blade Runner 2049. Those use cases aren’t going away. But while Adobe obviously has a long history in the movie industry, this is also a move that takes it deeper into the world of game development. Don’t expect to see Adobe launch a competitor to Unity or other game development tools, though. What Belsky seems to be more interested in — besides the existing use cases — is to enable a wider range of people to make objects in games, for example. He noted there’s already a flourishing number of games that allow players to use their own objects and textures, for example, and Adobe wants to offer tools for them, too. The two companies did not disclose the price of the acquisition.